For the past month I've been building and playing with Leonard 'paniq' Ritter's Aldrin, a music production system that combines a tracker-style composition interface with audio synthesis and processing modules called machines. Users of the famous Buzz music software will probably recognize Aldrin's design at once. In fact, it may be fair to describe Aldrin as Leonard Ritter's interpretation of the original Buzz. For my last blog entry in 2006 I'll take a brief look at the latest public version of Aldrin, then we'll discover just what makes its creator tick in a rather lengthy interview with Leonard Ritter himself. Leonard is a thoughtful and articulate fellow, I hope you enjoy his responses and comments as much as I did. I downloaded and compiled Adrin 0.7-2 on an AMD64 machine running 64Studio 1.0. The short and sweet report is that the build was clean and uncomplicated and the program works as advertised. Potential users should note that packages are available for various Linux distributions, I simply prefer to roll my own whenever possible. Ample documentation comes in browser-ready HTML via the Help menu, but I found it more fun at first to just dive into the program and study by example. I loaded some of the demos and proceeded to bend, fold, spindle, and mutilate them while I learned how the program worked, secure in the knowledge that excellent documentation was only a click away. By the way, if you're not familiar with tracking software, see the Tracker entry at Wikipedia for a good explanation of the basics of the art. Like Buzz, Aldrin is more than just another module tracker. 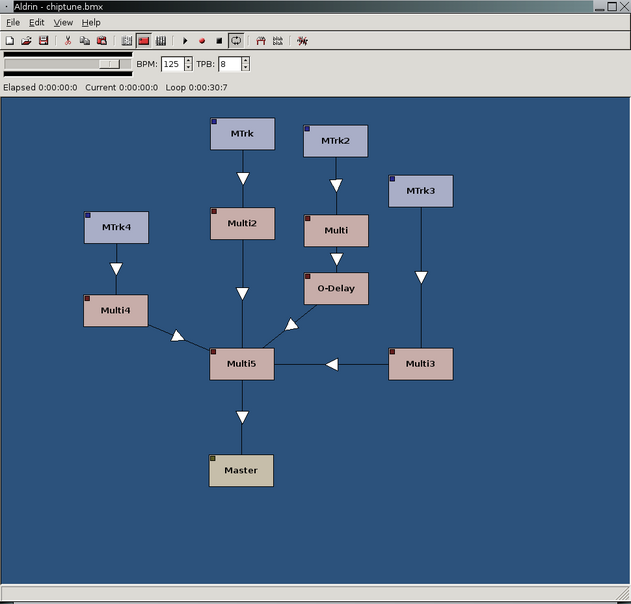 Its primary composition interface is similar to a tracker, providing pattern and sequence editors (Figures 2 and 3), but there the resemblance ends. Aldrin's patterns are directly associated with specific machines that are linked with others to create a master audio synthesis/processing network (Figure 1), itself driven by the song sequence data. Machines are Aldrin's audio engines, and porting Buzz machines to Aldrin is a high priority task (see following interview). 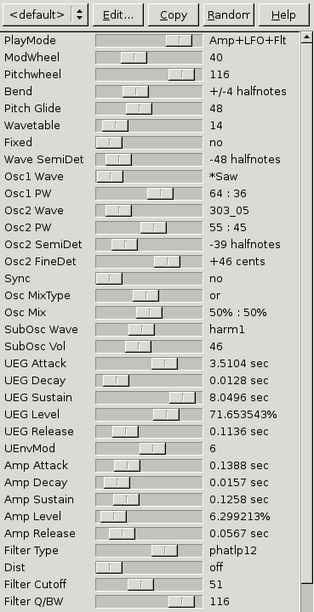 Figure 4 displays some of the controls for the Makk4wII synthesizer, a virtual analog synth with an impressive set of parameters. I had great fun with the randomization button and a looping pattern, eventually finding a few usable parameter combinations I saved and stored as presets for future deployment. This mini-profile has noted only Aldrin's most basic features and capabilities, but I hope I've piqued your curiosity enough to check it out. There's much more to the program, the extensive and helpful documentation will guide you to its discovery, and Aldrin's growing community is also happy to assist. Aldrin 0.8 (codename "Raccoon") was released on 1 January 2007, with more machines and other enhancements, and the program's development future looks bright. DP: How long have you been using Linux, what drew you into the Linux world ? LR: I believe I started about 1.5 years ago. I was using Linux before, but only as means to reassure me that Windows was the best platform to do anything. There was a constant repetitive ritual of leaving my cave, installing a distro, going "brrrr" at the first issue occurring, and returning into my comfy narrow cave again. One day, my main hard drive broke down, 250gb of data turned into trash at an instant. Most of my music sources gone, not everything was on backup. I found out that the issue must have been related to heat, and hence wanted to install Windows on an external USB drive. Guess what: it's impossible. I was so angry about this that I asked a Linux using friend: "Hey, can Linux boot from USB drives?" "Yup", he said. So I threw away my Windows CD and said: Ok, this is a good moment to start over. The rules are: no Windows until you master this system, whatever it will take to get this done. "Per aspera ad astra", I had in mind. Eventually, I would see light. It has been said that using software libre would also bring a feeling of liberation to the experienced user. For my part, I agree. DP: How did you get interested in Linux software for sound and music ? LR: I'm into composition of electronic music since my childhood, one of the strongest influences being the Prodigy and other dance acts. Since my mother was writing music for children and had some great gear at home, I always had access to electronic music making devices. So I just carried over my interest in software for sound and music to the Linux platform. DP: Please tell us more about the Aldrin project, its design philosophy and goals. LR: In the beginning, Aldrin started off as a project to clone Buzz perfectly, stage 1, and progress from then on, stage 2. As we're reaching the end of stage 1, I'm thinking a lot about where I want Aldrin to go from there. Another goal is to turn Aldrin into a free replacement for live composition tools such as Ableton Live, and hence allow users to use Aldrin on stage in a way that is familiar to them. Lastly, Aldrin is targeted to run on any present and future platform. Being able to play Aldrin tracks in 50 years without much of a problem is an important goal. DP: Many readers will want to know about the relationship between Aldrin and the original Jeskola Buzz. Is there any compatibility between the programs ? Are there any utilities for converting original Buzz files and machines to Aldrin's formats ? LR: Aldrin is entirely based on the fantastic libzzub library developed by Anders Ervik, a cross platform library which can load and play bmx files created with Buzz. It has full support for Buzz plugins. Pieter Holtzhausen, who maintains the Win32 releases of Aldrin, did a good job at making Aldrin run on Windows. But it is very likely that Aldrin will never support loading Buzzmachine binaries on Linux. I believe that this feature would interfere with the long term goals, and I know that many of the issues left relate to old plugins not running properly. I leave these issues up to Buzé and libzzub to solve and focus on improvements in the Aldrin frontend and porting of plugin source code. The long term plan is to focus on the Linux desktop, since some Buzz and Aldrin design goals (extension through binaries, modular vs. extension through source, monolithic) are mutually exclusive. On Windows, Anders' Buzé will still lead on the Buzz legacy and continue to support Buzz truthfully, while Aldrin will most likely drift off the 1:1 cloning stage to bring some sense into areas where the Buzz design did a bad job. DP: How does Aldrin compare to the Buzztard project ? LR: After I established a working development setup on Linux one of the first things I did was to have a look at the project to decide whether it would be profitable to contribute. I was not feeling very comfortable with the overall structure of the project. I wrote them to let them know that I object about the archaic buildsystem (scons beats the crap out of automake) and their choice of writing the frontend in an unmanaged language, which adds a frustrating overhead to development time. The project seemed to be without much direction. There was lengthy discussion of trivial implementation details on the mailing list. The GUI was all shiny and done, but non-portable and with an unfinished back end. All these signs hinted to lack of experience. Unlike me, however, they have made good progress at porting Buzzmachines to Wine. Although I did not get them to work, I am frequently being told that they load and work, but that seems to be Chinese whispers. There was a recent thread on their mailing list about Aldrin. It seems there was not much interest in what we were doing. Don't get me wrong, I am a constant source of disappointment myself. I am pointing out some of the issues I saw with development in other projects. Without them, I would probably have made similar mistakes. DP: Any reactions from Buzz users ? LR: Yes. The Buzz community is quite excited about this. Many have stated they finally found a good reason to switch to Linux (which is one of the hidden agenda goals), several developers I wrote to contributed sources to important machines, long term users of Buzz bombed our ticket system with detailed descriptions of features that were missing and the overall reaction is overwhelming positive. If I had to point out the source of my enthusiasm, I would say it is the community's feedback and dedication that has made this activity worth it. Phed recently translated the entire Buzz documentation so we could reuse it with Aldrin. Joachim proposed to donate his Planets machine suite source once he manages to get his Linux audio system working to test Aldrin. We have several people grinding their teeth at porting libzzub and Aldrin to OSX (Intel and Motorola architecture). DP: Are you involved in any other coding projects you'd like to mention ? LR: My earliest (failed) attempt in writing a large scale audio application was Quence Construct. 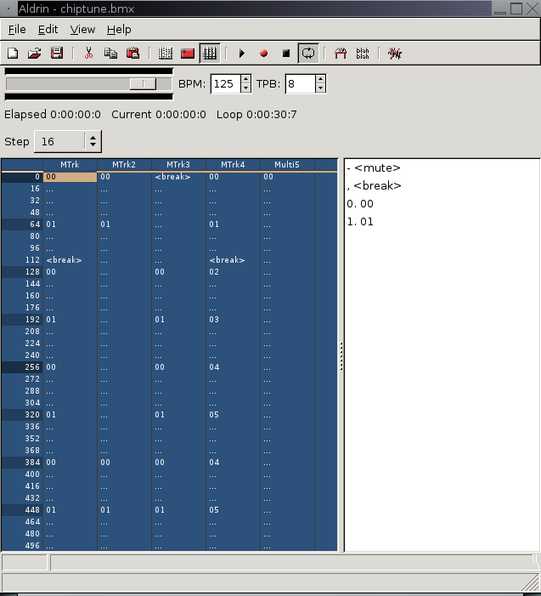 My first Linux project was mjoo, an experimental live composition tool that is currently broken/closed down/going nowhere. Some of its features will most likely be found again in Aldrin. My second Linux project was Die Ewigkeit Schmerzt a 3D realtime demo which became quite popular. I have contributed C++ bindings for Cairo to the gtkmm project and some other small stuff for various libraries and things. As an employee of Steganos, I have written Steganos LockNote, a small but popular open source encrypted notepad for Windows. I also run the Web sites at paniq.org and linuxdemos.org. DP: Finally, what else does Leonard Ritter do with his life ? Any special interests outside of Linux and computers ? Oh well, several failed relationships (where are all these geek women hiding? ), participation in psytrance and demoscene parties, a little political activity in the German Pirate party, and everything else involves computers: talking to friends, family and strangers, reading articles, watching movies, listening to music, writing blog articles, writing music, expressing myself, making the New Age happen, messing up my room (glad you didn't ask what I'm _not_ doing). And of course much reading and thinking, a lot of thinking. I just can't turn it off. I'm constantly trying to find patterns in society and the great scheme of things that can be applied and which hint at good things to come, and goals to look out for. We need less blind activism. Less "think of the children". Less consumerism. Less lock-ins. Less logic. Less reality. Less money. We need to find a good system to share wealth and distribute knowledge beyond the western society. More science. More adventurers. A read/write culture as proposed by creative commons. More understanding, communication and less war. More people being interested in more than just leading a good life. More imagination. More attention. There you have him, folks, Leonard Ritter revealed. To learn even more about the man you can check out his personal site at Freelance Art & Logic, or you can browse the archives of the mail lists for Linux audio developers and users (he's a regular contributor). You might also consider spending a little New Year's holiday time with Aldrin: I mean, you were planning to put on a little buzz anyway, right ? Added 1 January 2007: Steven Yi and James Hearon have placed online their latest excellent edition of the Csound Journal for your reading pleasure. The Journal is always informative and always a delight to read, check it out today.